Child of My Heart | grow. learn. connect. 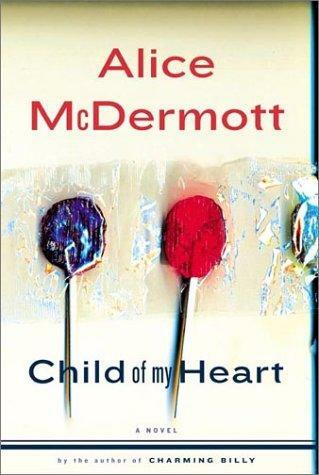 Alice McDermott’s “Child of My Heart” was the Central Library’s Brown Baggers BookGroup choice for February. The discussion was, as usual, very lively. The Brown Baggers have been talking books since September 2008 and “Water for Elephants” by Sara Gruen. It has been a fun ride! The group has some very steady members, and we add one or two newbies every month. As a result, the members appear very comfortable as they put forth their ideas and opinions. This month’s discussion surrounded the main character of “Child of My Heart,” Theresa, who enchanted and surprised us as she made her own fairytale life during her 15th summer. She was an able babysitter who won over children and animals alike. She also cast a spell on every man she met throughout the book and in her tony neighborhood, New York’s Hamptons. Her parents were almost non entities in her life and in the book. They worked full time and left Theresa on her own as she traversed the world they chose for her – again in the Hamptons – so that she could meet a wealthy man eventually. The idyllic life that she creates evokes a summer feeling, but threats to this world creep in on us. Suzy Hansen in her “Solon Magazine” review writes of the problem that I have with the book. Hansen says: “Theresa pragmatically regards her beauty as a gift, or a not-so-secret weapon, something she can use to her advantage whether in comforting the fragile little girls and boys whom she baby-sits every summer, or in manipulating older men.” I found Theresa unbelievable as a 15 year old who recognizes this power to which Hansen alludes. But maybe you will disagree as many of the Brown Baggers did. Hey, that made for part of a very good discussion. I thoroughly enjoyed the Brown Bag Book Group discussion of “Child of my Heart” and found myself appreciating the book more after the discussion and reflecting on the comments by Zanne Macdonald, the discussion leader for this book, and the other group members. Reluctant Blogger included here that Ron Charles of the “Christian Science Monitor” sees Daisy as “a sweet symbol of the waning child in Theresa’s own heart.” I find that comment adds a new dimension to my reflections on the story that I didn’t have even after the group discission. This book club is the first one I have joined, and I look forward to our group discussions every month. Next month the “Maltese Falcon” by Dashiell Hammett is our book club selection as well as the “Big Read” selection. I expect to participate in many of the scheduled events surrounding the Big Read in addition to the book club discussion.